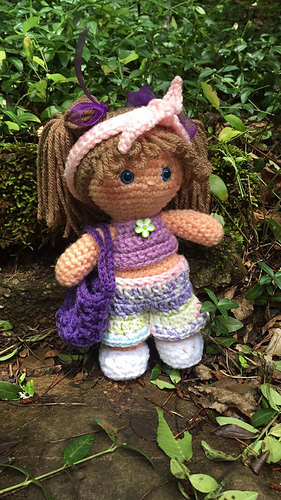 This pattern Includes a halter top, lacy top, scarf, Poncho, Gypsy Skirt, Culottes, flip flops, summer shoes and a Slouchy bag! All of them are made to mix and match! 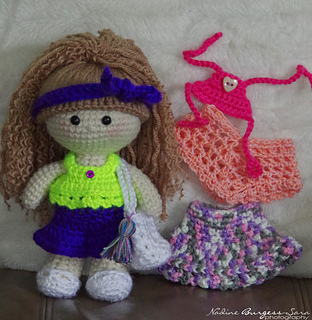 I used variegated yarn for the Gypsy skirt and culottes….You can use fun summer colors to make a variety of outfits from this one pattern! 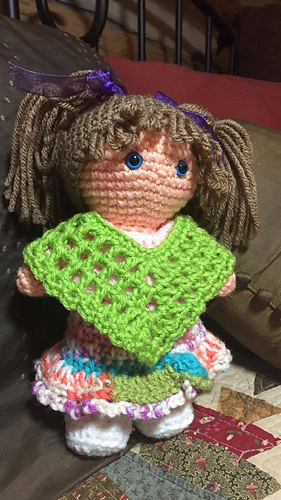 If you tend to over stuff your doll you may need to go up a hook size , so they will fit your doll. Supplies needed will be a tapestry needle, any worsted weight yarn and a small decorative button for the halter top. 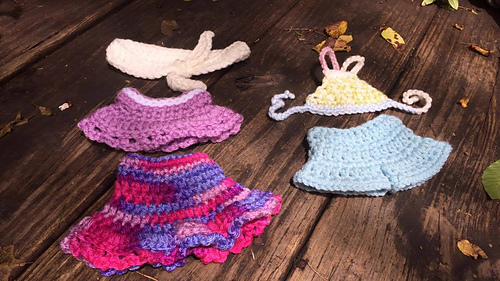 Since Puddin is only 8 inches tall , you won’t need much yarn to make her outfits !